If you have any information about these crimes or any person(s) involved, you are urged to submit a tip via this website, call our TIPS line at 217-373-TIPS, or use our free P3 Tips mobile app. Crime Stoppers doesn't want your name, just your information. Crime Stoppers will pay a cash reward of up to $1,000 for information that leads to an arrest and you will always remain 100% anonymous. Disclaimer: The information on this page was provided to Champaign County Crime Stoppers by local law enforcement. The information was valid at the time it was posted but may be subject to change without notice. 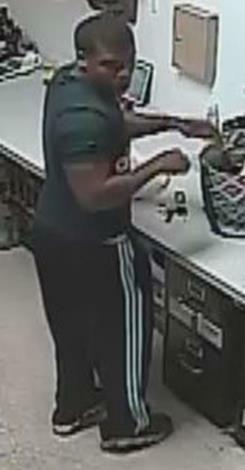 On November 4, 2018 at approximately 1:20 p.m. a male suspect stole a wallet from the victim’s shopping cart while she shopped at the Aldi’s at 801 W. Interstate Dr. in Champaign. 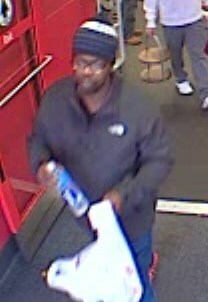 A short time later the victim was notified by her bank of charges made at Target, located at 2102 N. Prospect Ave., in the amount of $1,467.57. These fraudulent charges were made moments after the Aldi theft with the same suspects involved. The suspects were described as two black males, 20-30 years of age. The first suspect was described as having facial hair and glasses, wearing a blue winter knit cap with white stripes, a gray jacket and blue pants. The second suspect was wearing a black knit cap, black coat and black pants. possible victim whose purse was not secured. Police are investigating reports of vehicle burglaries that occurred just west of Division Street in Mahomet. On October 25, 2018, a burglary to motor vehicle was reported in the 200 block of West Union Street. On November 4, 2018, another burglary to motor vehicle was reported in the 200 block of West Dunbar Street. In both cases, sometime overnight, an unknown subject(s) entered unlocked vehicles and took money. The two burglaries are within a block of one another. On October 14, 2018, at approximately 1:30 a.m., police responded to the 2600 block of Lawndale Drive for a report of gunshots being heard. Upon arrival, officers located 35-year-old Arnold Hopkins who had suffered a fatal gunshot wound inside a private residence. If any resident has exterior home camera surveillance systems, please contact the police department. It is believed video footage between the hours of midnight-3 a.m. may be of investigative assistance. Police are especially interested in residents with home surveillance systems near the area of Centennial and Sangamon Drive. On October 7th, 2018 at approximately 10:30 p.m., police officers were dispatched to multiple reports of shots fired in the 1100 block of N. Goodwin Ave. in Urbana. Officers arrived a short time later and located a residence that was struck by gunfire. The residence was occupied by an elderly male and 5 juveniles at the time of this incident. No one was hit by the gunfire. Officers found more than 40 shell casings at the scene from more than one firearm. entered the business through a locked gate and stole several construction tools valued at over $1000. The suspect appears to be a black male, middle-aged, with a bald head and a medium build. He was seen onvideo wearing a white t-shirt and dark colored pants. On Sunday, September 23, 2018, several vehicles parked at public parks in Southwest Champaign had their windows broken and purses stolen from inside. The suspects then used the victims’ credit cards at Walmart in Savoy a short time later. The suspects were described as two black males in their 20’s who were driving a White SUV- likely a Hyundai Santa Fe. On Sunday, September 23, 2018, at approximately 11:40 p.m., a retail theft occurred at the Village Pantry located at 1201 N. Mattis Ave. in Champaign. The employee was in the back room when a male suspect entered the store. 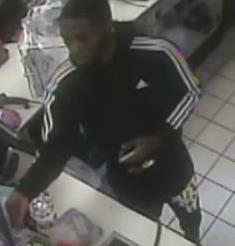 The suspect walked behind the counter and stole cigarettes and lottery tickets before leaving the business. The suspect is described as a black male in his 20’s. He was last seen wearing a black Adidas jacket and black Nike sweatpants. On Tuesday, September 19, 2018, between approximately 12:30 p.m. and 5:30 p.m., a male suspect entered the restricted areas of four local businesses and stole the employee’s personal belongings. The Shoe Carnival, PetSmart, Express, and Guitar Center in Champaign were all targeted. The stolen items included wallets, debit/credit cards, identification items, cash, cellular phones, and keys. The stolen debit/credit cards were subsequently used at local businesses. 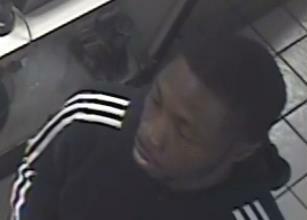 The suspect is described as a black male between 20 to 35 years of age with an athletic build. He was last seen wearing a dark colored Adidas shirt, black Adidas pants, and black shoes. Investigators are seeking the public’s assistance with identifying the suspect who was captured on video. On September 13, 2018, at 9:16 a.m., officers were dispatched to the 300 Block of North Cottonwood Road (Arend Bros. John Deere dealership) to investigate a report of motor vehicle thefts. Officers learned that during the evening hours of September 12, 2018, an unknown suspect(s) forced entry to the property and stole a white 2012 Chevrolet Silverado delivery truck with the name “John Deere” and initials “AHW” depicted on the side, and a green John Deere (Gator) Utility Vehicle. Officers received information that the delivery truck was possibly in the area of Farmer City. The value of both vehicles stolen total over $100,000.00. On Monday, July 2, 2018, at approximately 12:15 p.m., two black females entered the Hatha Yoga & Fitness, located at 2109 S. Neil St., and distracted an employee while stealing a purse from a locker. The credit cards inside the stolen purse have been used at several businesses in the area. The suspects are described as two black females, one in her 50’s and heavyset, the other female in her 30’s and skinny. Investigators are seeking the public’s assistance with identifying the suspects who were captured on video. On Friday, August 24, 2018, at approximately 10:53 p.m., officers were dispatched to the Circle K gas station, located at 1295 E. Grove Ave. in Rantoul, for a reported armed robbery. Upon arrival, officers located a victim who reported she was returning to her vehicle when she was approached by a male suspect armed with a handgun. The suspect demanded US currency from the victim before fleeing the area northbound on foot. The suspect is described as a dark skinned black male, approximately 5'00" to 5'05" tall, 150 pounds, with a mustache and possibly a small goatee. The suspect was last seen wearing all dark-colored clothing. 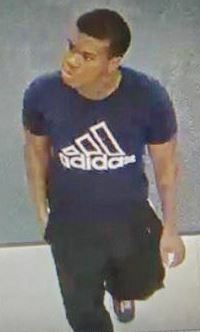 On August 10, 2018 between 4:30 p.m. and 8:00 p.m., a male suspect used a stolen credit card for purchases at Circle K, located at 1503 N. Neil St., Dollar General at 817 Bloomington Rd., and at Walgreens at 841 Bloomington Rd., all in Champaign. On August 13, 2018 at approximately 10:34 p.m., officers received a report of an armed robbery that occurred at the Circle K, located at 1713 W. John St. in Champaign. The male suspect brandished a firearm as he approached employees and demanded cigarettes and currency. The suspect fled the scene on foot. The suspect was described as a black male in his mid-20’s, 5’10” tall and appeared to have a skinny build. The male was last seen wearing a black mask, a red hoodie pulled up around his face, and dark colored pants. On August 6, 2018 at approximately 1:12 p.m., officers received reports of shots fired in the 600-block of Crescent Dr. in Champaign. Upon arrival, officers canvassed the area and found no victims, but were able to recover shell casings at the scene. On June 19, 2018 at approximately 8:23 p.m. and then shortly afterwards, just prior to 9:00 p.m., a black female entered two Walgreens stores in Champaign and made purchases with stolen credit/debit cards. The first cards were used at Walgreens at 407 E. Green St., then within minutes cards were used by the same female at the Walgreens located at 841 Bloomington Rd. In total, the credit/debit cards were used to make over $400.00 in purchases. The suspect was described as a dark-skinned black female, short and thin, last seen wearing a white polo shirt, black pants, and was carrying a black purse. The female was seen leaving the area in a late model SUV, possibly a Toyota. The vehicle was dark in color and appeared to have a sunroof. On July 20, 2018 at approximately 11:40 p.m., police officers were dispatched to multiple reports of shots fired in the 1300 block of Beech St. in Urbana. Officers arrived a short time later and found the victim of a shooting, a 14-year-old male. The victim had been struck by gunfire. The victim was transported to a local hospital, where he remains hospitalized with life-threatening injuries. A search of the area led to the discovery of shell casings, and a nearby house was also struck by gunfire, but no injuries occurred inside of the residence. of US Currency, prior to leaving the building. No suspect description is available at this time. On July 11, 2018 at approximately 2:06 a.m., an armed robbery occurred at the Walgreens, located at 1713 W. Springfield Avenue in Champaign. A male suspect armed with a handgun entered the store and demanded money from an employee. He then fled on foot with an undisclosed amount of currency. 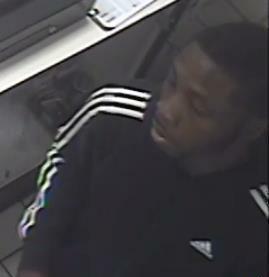 The suspect was described as a black male in his 30’s, 5’9” tall and 170 lbs. He was last seen wearing a light gray hooded sweatshirt pulled tight around his face, gray pants and a black bookbag. On July 1, 2018 at approximately 12:35 a.m., an armed robbery occurred at the Circle K, located at 1101 N. Prospect in Champaign. Two male suspects entered the store, brandished a firearm, and ordered the clerk and other customers to move into the restrooms. The suspects stole cash and cigarettes from the store and personal property from the victims before exiting the building. The suspects were described as black males in their 20’s, with both wearing dark-colored pants. One suspect was described as taller, wearing a red hooded sweatshirt, and the other suspect was shorter, wearing a black hooded sweatshirt. Both sweatshirts were pulled up and around the faces of the suspects. On June 12, 2018 at approximately 5:10 p.m., three female suspects stole clothing from Macy’s, located at 2000 N. Neil, Champaign. After selecting numerous items, the females entered the fitting rooms and concealed the clothing before exiting the building. The clothing items taken were valued at over $1000.00. The three suspects were all black females, with two shown in this photo. Investigators are seeking the public’s assistance with identifying the suspects who were captured on video.